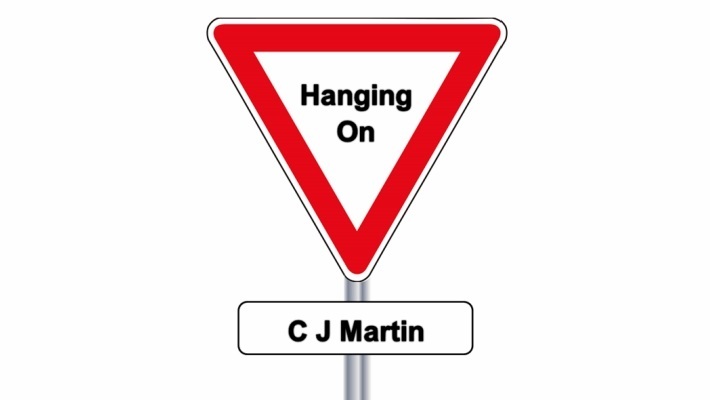 Films on You Tube by C J Martin - A lot of time, thought and passion goes into the making of my videos and they're all produced on at best a nominal budget. I want each film to deliver a visual interpretation of the song and be both entertaining and thought provoking. 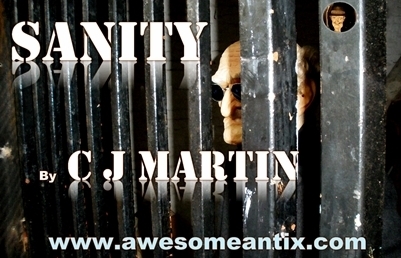 You can watch my music videos on this page or click to visit my You Tube site. 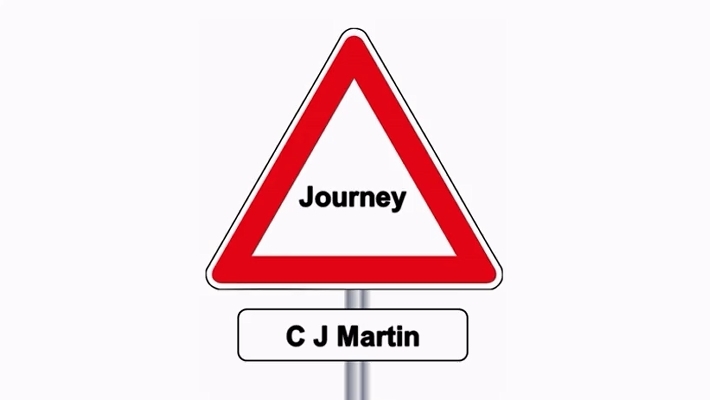 Journey Part 1 was released on 20/10/18 and is available on iTunes & CD. There are five films on You Tube featuring songs from the album. 13/11/18 - The fourth song on my album, Journey Part 1. Bluebells, trees and sunshine filmed in spring on the Cuckoo Trail with my GoPro and iPhone. 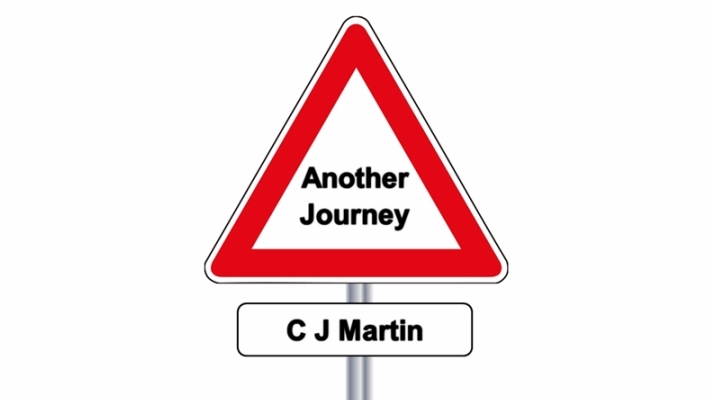 28/10/18 - The third song on my album, Journey Part 1. 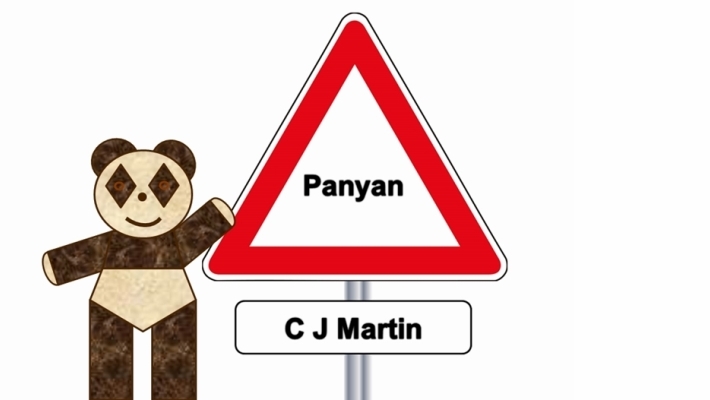 Features: Panyan the dancing panda, 15-years of answerphone messages and narration by Matt Martin. All shot on my iPhone. 14/10/18 - The second song on my album, Journey Part 1 - a film using road signs to tell the story, all shot on my iPhone and GoPro. 07/10/18 - The opening song on my album, Journey Part 1 - a simple film of light and shadows, all shot on my iPhone and GoPro. Dangerous Moonlight is a four-song EP released on 2/06/17 - available on iTunes & digipak CD. All four songs now have their own distinct film on You Tube. 17/10/17 - Filmed using many candles to create a serene mood, so you can just relax and enjoy the song. 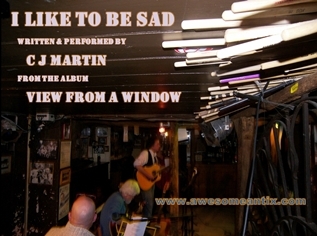 Dave Moore on vocals & C J Martin on acoustic guitar. 20/07/17 - The title song filmed in the recording studio with photos from the official launch party. 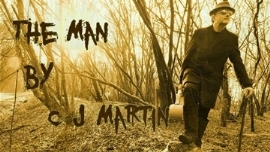 Dave Moore on vocals & C J Martin on acoustic guitar. 29/04/17 - A little homage to the 1941 film, Dangerous Moonlight. 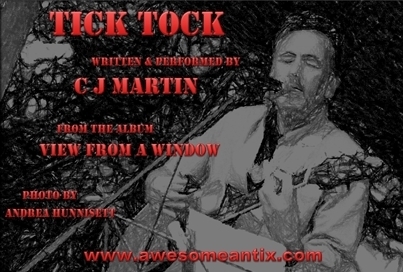 With Dave Moore on vocals, C J Martin on acoustic guitar and Joseph Jaum as the young pilot. 21/04/17 - Apple blossom in my garden filmed from a bee's eye view. 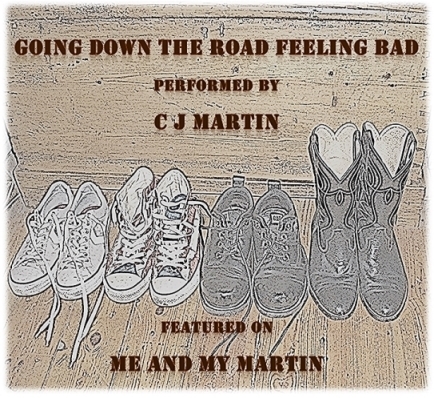 Featuring, Dave Moore on vocals & C J Martin on acoustic guitar. Standing Room Only was released on 6/06/16 and is available on iTunes & CD. 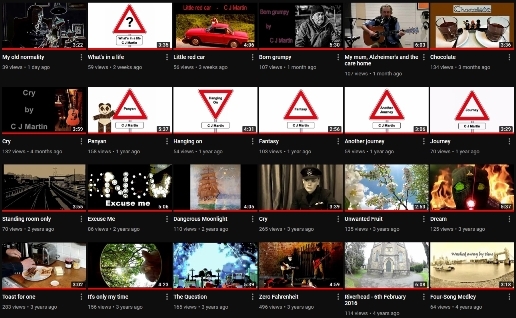 There are six films on You Tube featuring songs from the album. 27/02/18 - Journey by rail, whilst listening to a song about plans, aspiration and the struggle to get there. 08/10/16 - This song was inspired by the horrendous terrorist attacks in Paris on 13/11/15 and I've used Lego to make the film. 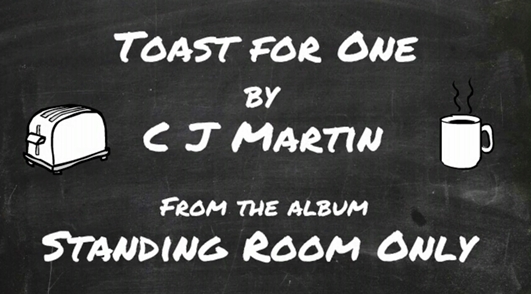 02/06/16 - A bit of a fun song and video about my great love of toast - with a bit of Lego. 30/05/16 - A gentle film shot in spring to represent the beauty of nature and the passing of time. 24/05/16 - My first film featuring the use of Lego and a visual exploration of an arena rock style gig - plus some great fireworks. 17/05/16 - A plaintive song about the brutality of homelessness and the growing divides in our so called civilised society between the haves and the have-nots. The Last Song was released on 13/01/15 and is available on iTunes & CD. There are seven films on You Tube featuring songs from the album. 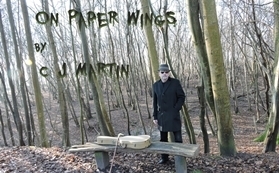 27/12/15 - Featuring extracts from: Diary, The Last Song, Music of the Road & On Paper Wings. 04/08/15 - I used this song as the soundtrack to footage I shot at the Lewes Wanderers Cycling Club Hill Climb. 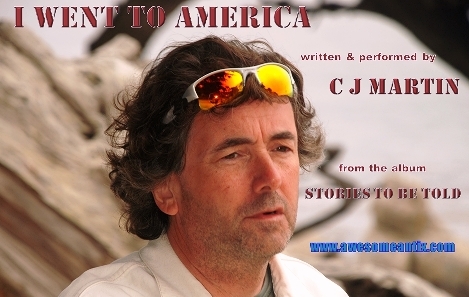 The film is on a different You Tube site which I use for putting up my cycling videos. 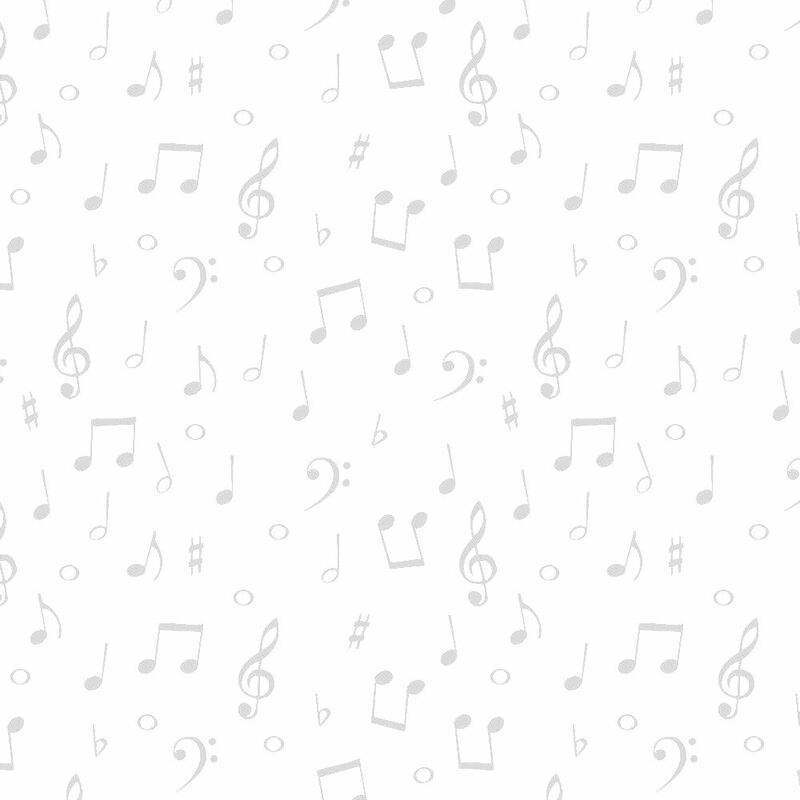 Each cycling video has a musical soundtrack from my own music archive. 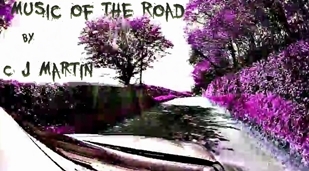 11/05/15 - A simple film, shot from the car on a fabulous spring day and used to accompany my song about the ups and downs of life on the road. 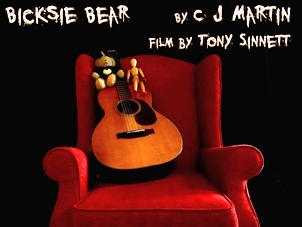 12/02/15 - This film is my fourth collaboration with Tony Sinnett, who is a wonderful puppeteer and talented film maker. 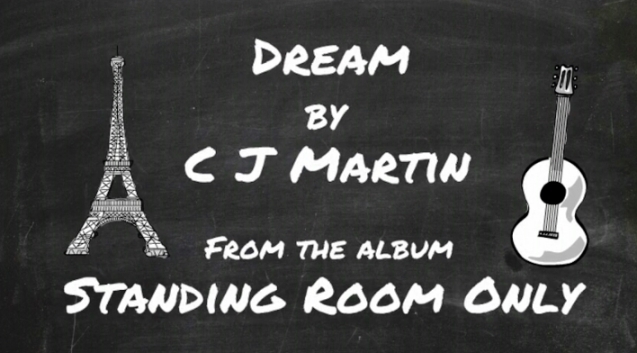 03/02/15 - The song tells the story of a man's demons and his search for something to believe. The film footage was all shot locally. 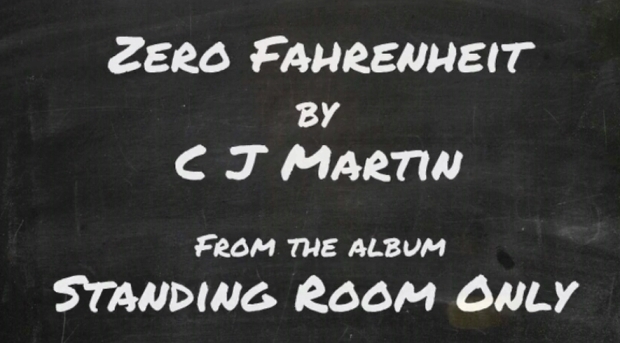 I wrote the song for Johnny Cash. 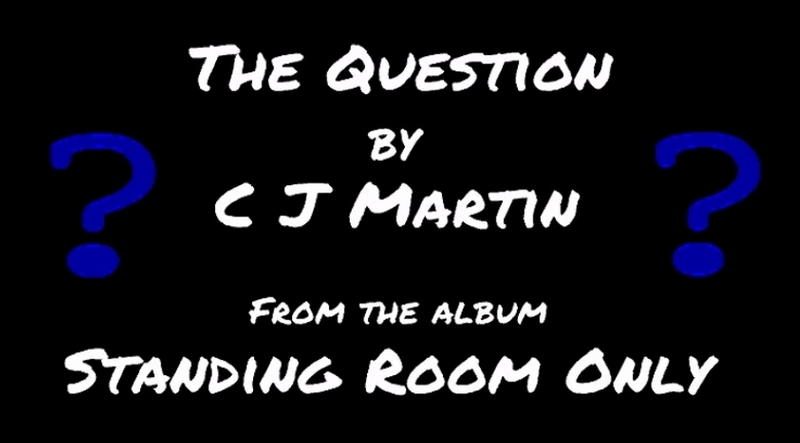 11/01/15 - My angle on the protest song. The footage of me was shot at home and I've cut in some topical film to represent different aspects of the lyric. View from a window was released on 08/05/14 and is available on iTunes & CD. There are four films on You Tube featuring songs from the album. 20/08/14 - I shot the footage in my garden with a GoPro camera and edited it up to represent some of the themes in the song, though it's mainly just a bit of visual fun. 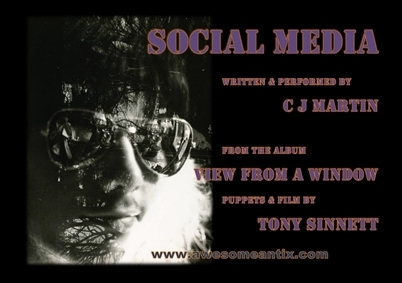 20/06/14 - Tony Sinnett's wonderful puppet film (www.tonysinnett.com) is about the pros & cons of using Social Media to track down people from your past. It was inspired by conversations with an old friend who I hadn't seen in many years. 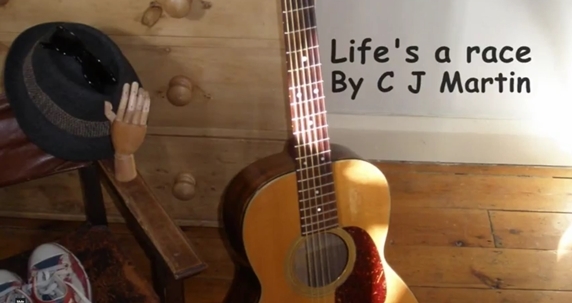 22/05/14 - A light-hearted song about playing at Open mic nights. 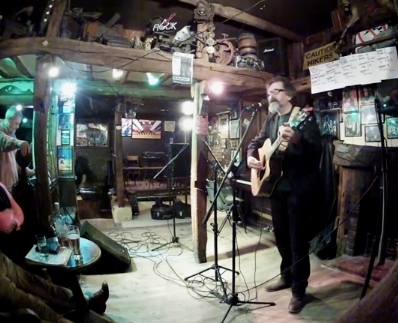 I've edited up some film of me playing the song live at the Six Bells on 18/02/14 and used the studio recording for the finished audio. 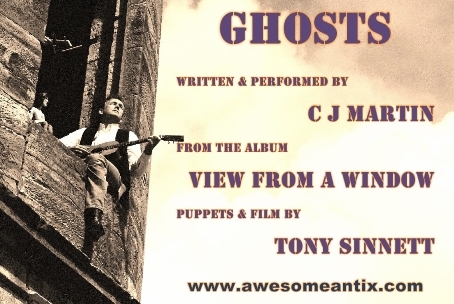 08/05/14 - My second collaboration with Tony Sinnett, marionette maker extraordinaire. 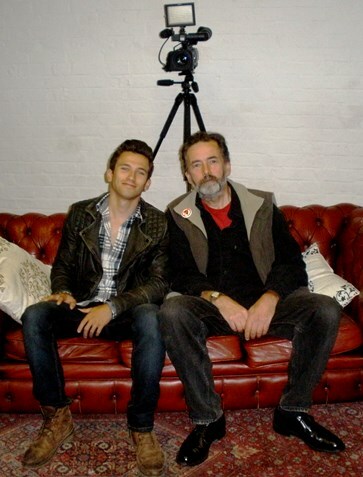 He built the main puppet as a representation of an 18-year old me and we shot the film on location at my house. 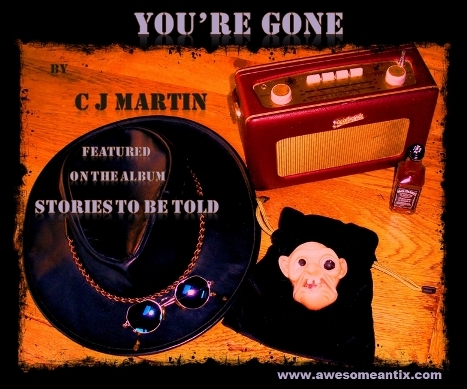 Stories to be told was released on 28/10/13 and is available on iTunes & CD. There are four films on You Tube featuring songs from the album. 07/02/14 - I shot most of the footage on local roads in East Sussex with my GoPro camera mounted on my cycle helmet, whilst the night footage was mainly filmed on foot. 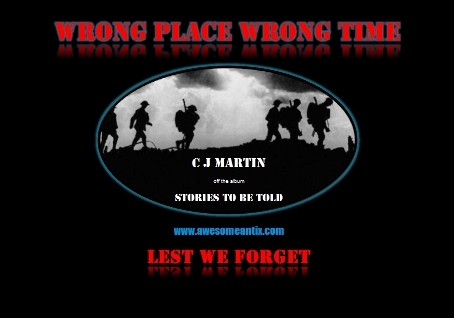 03/01/14 - This song is an imaginary conversation with a fallen soldier from the First World War. 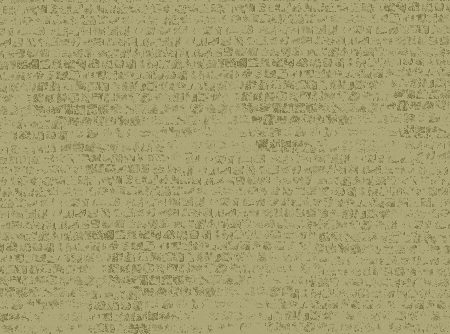 I've used real archive footage from World War 1 to illustrate the song. 18/10/13 - Fuelled by tea and chocolate, I wrote this song on a cold and wet May day. The film was shot on location in Eastbourne and indoors at The Stables Studio and it features my son, Matt, in the lead role. 18/10/13 - A simple song about a couple of weeks spent trucking round California & Arizona with my brother in a red Mustang convertible. The lyric tells the story and we took the photos on the journey. 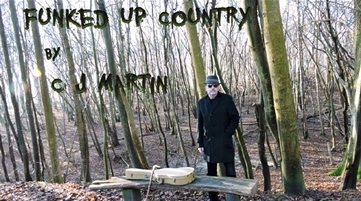 Me and my Martin was released on 07/01/13 and is available on iTunes & CD. There are six films on You Tube featuring songs from the album. 06/02/16 - I shot some footage of Riverhead in Kent where I grew up (each shot is a memory) and edited it up to go with my instrumental. 05/03/13 - This song is about a homeless man who died on the streets of Brighton. 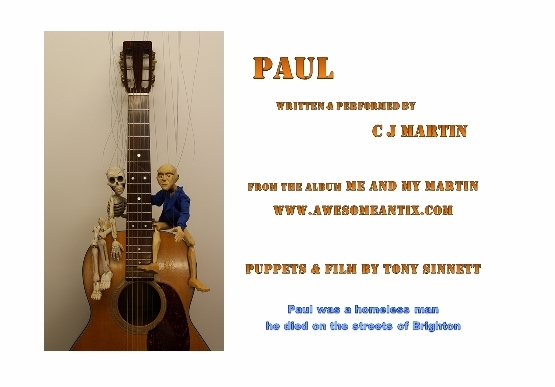 It was filmed by Tony Sinnett and features two of his wonderful handmade puppets. 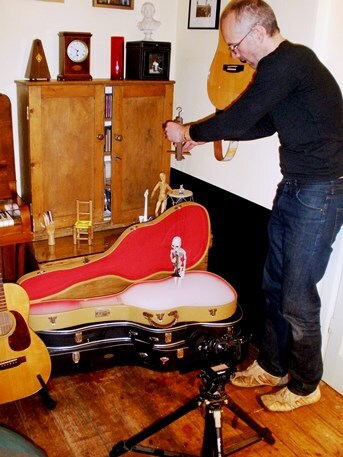 See The making of Paul for the story of how this video came to fruition. 15/01/13 - I've loved this old song for many years and this is my interpretation. We shot the film for You Tube on a chilly, but clear January (2013) night on location in Eastbourne. 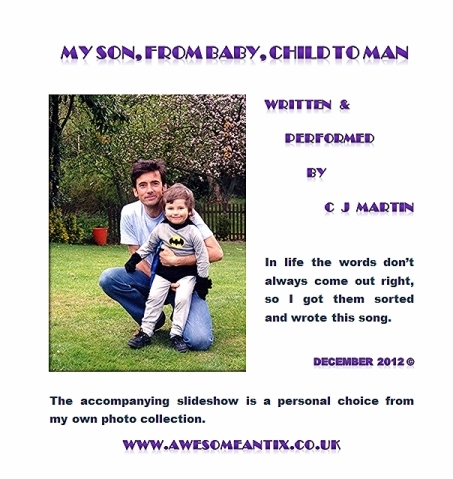 05/12/12 - My son was 18 back in January (2012) and I had an idea about writing this song. It was much tougher to complete than I thought at the time and the lyric perplexed me for ages. I got there in the end and am quite pleased with it. I produced the slideshow using snaps from my own photo collection. 06/11/12 - I came up with the idea for this song whilst cycling in East Sussex. I shot the footage on a fine 2012 autumnal day. 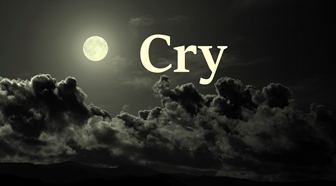 18/10/12 - I wrote this song for my mum, who passed away on the 4th November 2011. 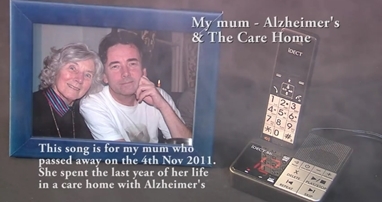 She suffered with Alzheimer's and this song is about mum and the last sixth months or so of her life, which was spent in a specialist care home with other dementia patients. Fundamentally, it's just a song of love for my mum. 05/02/14 - My brother bought a GoPro camera for my birthday and I used it to film my live set on 4/02/14. 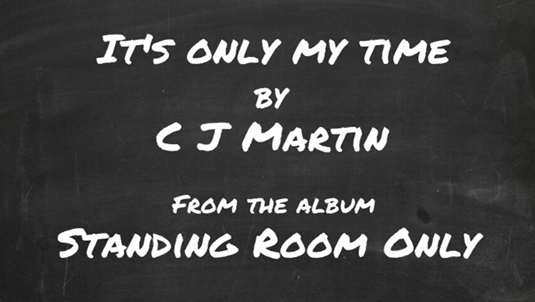 'In reality it's time to leave the stage' - I'd written the song back in 1998 and had never played it live. I decided to give it a go in memory of Philip Seymour Hoffman. 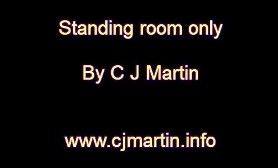 Live Performances by C J Martin filmed by UK Ray. 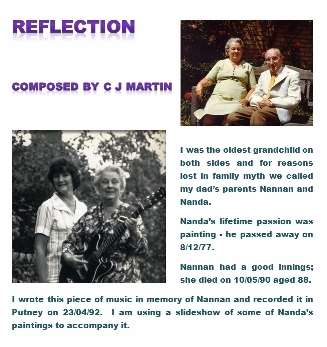 26/11/12 - This is a piece of orchestrated piano music which I composed in memory of my Nan who passed away on 10/05/90. Originally recorded in 1992, it is accompanied by a slideshow of paintings by my grandfather, which my dad photographed for me. See History for more info. 01/07/14 - I've taken some old video footage of Red Delta playing this song and have added the original studio recording, syncing it to the live performance. See History for more info on Red Delta and to see three live videos filmed at a gig in 1991. I use this You Tube site to post up an eclectic mix of little films, live performances and archive footage. 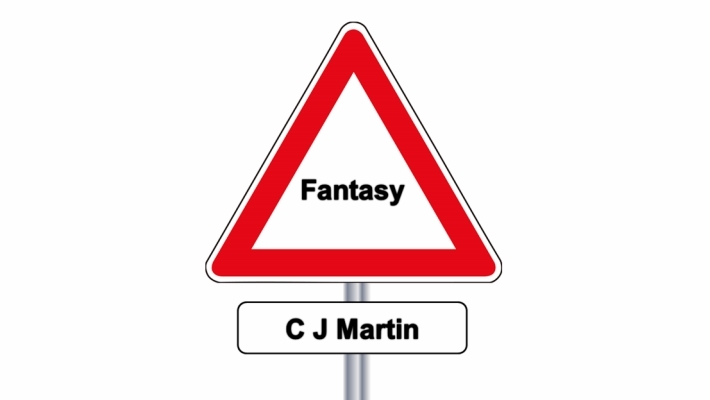 It's a bit of visual fun and most of them have a music soundtrack from my back catalogue. There are currently 26 films to view. This You Tube site is used for cycling films. Each has a music soundtrack from my back catalogue. There are currently 5 films to view.